New Jersey worker's compensation laws were established in 1911, and they eliminated the need for injured workers to file a civil claim against their New Jersey employer. Work compensation in New Jersey provides immediate medical benefits and wage loss compensation without the worker having to prove the employer's negligence contributed or caused their work injuries. New Jersey workers' compensation is administered by the New Jersey's Division of Workers' Compensation and their primary goal is "to establish an equitable balance between the needs of injured workers and the needs of employers". They attempt to accomplish this goal by "ensuring that proper benefits are paid to workers who are injured on the job in addition to enforcing the law requiring employers to obtain insurance coverage for their employees". Not all workers will need help from a workers' compensation lawyer, but if you have permanent or severe work injuries or if your employer is unwilling to provide workers' compensation, contact a New Jersey workman's comp lawyer for help. Work injury lawyers can help at any stage of the workman's compensation process including helping to file work comp claims, facilitate the claim's process or ensure that you get the compensation you deserve. 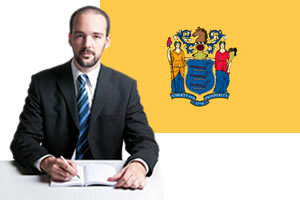 Need legal help getting benefits for your New Jersey workers compensation case? Simply complete our free form below to get started today! Not all work injuries are covered under New Jersey work comp law. New Jersey employees who have been injured while they were intoxicated, attempting to injure themselves or others, travelling to and from work or who disregarded an established company policy or safety measure may have difficulty winning New Jersey workman's comp benefits. Medical Care - Medical benefits are provided to injured New Jersey employees who suffer from a work injury. Medical benefits can include a variety of medical services including hospital stays, doctor's visits, medical supplies, laboratory services and physical therapy. Under New Jersey workers' compensation law, New Jersey employers have the legal authority to designate the treating physician for the worker. If emergency care is needed or the employer does not provide medical treatment the employee may have additional choices. Contact your employer prior to seeking medical care. Temporary Total Disability Benefits (TTD) - Temporary total disability benefits (TTD) are provided to New Jersey employees who are unable to return to any type of employment after they are injured. TTD benefits are paid at 70% of the worker's average weekly wage up to minimum and maximum amounts established under New Jersey workman's comp law. TTD benefits may be paid for a maximum of 400 weeks or until the worker reaches their maximum medical improvement. TTD benefits are not paid until the injured worker is unable to work for 7 days. In some cases TTD benefits may be retroactive to the first day of missed work. Permanent Partial Disability Benefits (PPD) - Permanent partial disability benefits (PPD) are paid to workers for work injuries which cause permanent and partial loss or disabilities. PPD benefits are compensated at 70% of the injured worker's wage. PPD benefits may be scheduled or non-scheduled. Non-scheduled losses are those that include body organs which are not listed on the workers' compensation schedule. These losses can be compensated for a maximum or 600 weeks for a total of $463,000. Scheduled losses are those that are listed on the schedule such as fingers, ears and toes. Permanent Total Disability Benefits (PTD) - Permanent total disability benefits (PTD) may be paid to workers who are injured on the job and unable, due to their physical impairments, able to work any type of job. Compensation for PTD benefits is paid at 70% of the injured worker's average weekly wage (minimum and maximum payments apply). PTD benefits are generally paid for a total of 450 weeks, exceptions may apply. PTD benefits may also be offset by Social Security Disability Benefits. Death Benefits - Death benefits are paid to surviving dependents of New Jersey employees who die from a work-related injury or occupational illness. Death benefits are paid at 70% of the deceased worker's average weekly wage up to the maximum established by the Commissioner of labor. A workers' compensation judge may determine how to divide death benefits if there are multiple surviving dependents. Death benefits also are provided for funeral expenses up to the state's maximum allowable amount which is currently $3,500. Vocational Rehabilitation - Vocational rehabilitation services may be provided to New Jersey workers who are unable to work at their current job due to their work injuries. Vocational services vary by state but in New Jersey they may include the following: Vocational counseling and guidance, Placement services, Job seeking skills, Supported employment, Time limited placement and coaching, Job skills training, Mobility equipment, Home modifications.